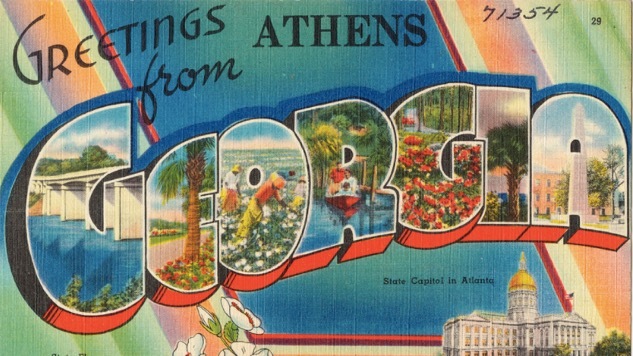 The heart and soul of Athens, Georgia, lies in its history. The town may be famous for its adaptability to new trends in art, music and food—think R.E.M. and the B52’s—but it is its timeless character and its must-see, decades-old locales that provide the foundation and confidence for the “Classic City” to play its role as quick-change artist. A lot of people come to Athens to embrace that artsy culture and are immediately wrapped up in its nouveau scene. That makes sense, of course. The city, which is about an hour from Atlanta, is loaded with enough cuisine, venues and lounges to fill a much larger city and satisfy any trend-setter. Often, though, what folks are actually attracted to are the modern renditions of the traditional. What visitors should understand, however, is that the best version of the traditional, is the traditional itself. This is especially the case when it comes to food. From old Southern meat-and-three restaurants to pharmacies with lunch counters, it is important for visitors to come to the home of the University of Georgia and pay respect to their elders. We’ve provided a list of our favorites. You can thank us later. Right in the heart of downtown, The Grill is the spot for late night eats. Since 1981, its doors have been open 24 hours a day, 7 days a week. The diner is home to giant burgers, big home fries and creamy milkshakes. Its retro vibe is actually just vibe attracts UGA students, locals and tourists alike. The restaurant is packed day and night, but especially when the downtown bars close at 2 a.m. The original owner of The Grill, Bob Russo, knew how to please his customers. Back when the restaurant first opened, patrons would line up down the road and around the corner to be seated. Waiters went outside in the steamy Georgia heat to take orders in line so that food would be ready by the time they a party sat down. “What’ll ya have! ?” The catchphrase is a Varsity rite of passage, but it is also the restaurant’s slogan. The Varsity has been around in Athens since 1932—and is still just as popular today as it was back then. For its first 40 years, The Varsity sat thrived on College Avenue downtown. It has since moved up to the corner of Milledge and Broad. Opening at 10:30 a.m. seven days a week, The Varsity has always been the go-to spot to cure a hangover with a burger and fries. Located on Broad street, adjacent to the UGA campus, Mayflower Restaurant is among the only restaurants in Athens to remain in one location and stay under the same ownership for decades. It’s slogan is “putting the south in your mouth since 1948,” and it’s been doing it longer than anyone. The oldest restaurant in downtown Athens, the Mayflower serves up breakfast and lunch daily (except for Saturdays which are breakfast only). Featured items include eggs, biscuits and pancakes for breakfast. Sandwiches and fried chicken for lunch. Looking for cheap Mexican food and a good (strong) margarita? Taco Stand is your best bet. This place has been around since 1977, marking 40 years of dishing out some of the best starving-artist food on the planet. The restaurant caters to a varied clientele, dishing it out in “mild, hot or extra-hot” for carnivores and vegans. Generations have grown up on deluxe (with sour cream) bean burritos, mega burritos (grilled), chips and salsa. Somehow, an extra salsa here still costs less than quarter. ADD Drug is one of Athens’ underrated classics. Opened in 1961, this soda fountain-style lunch counter is located on Lumpkin Street, right off of Five Points. Its menu features burgers, fries, shakes, soups, sandwiches and salads—all for the best price you can find around. There isn’t a better deal than a burger for $1.50 and a milkshake for $2.95. Maybe it’s watching your burgers being cooked in front of you, maybe it’s the friendly ladies behind the counter telling stories of Athens back in the day, but something about ADD Drug—like all the places on this list—just makes you feel at home.